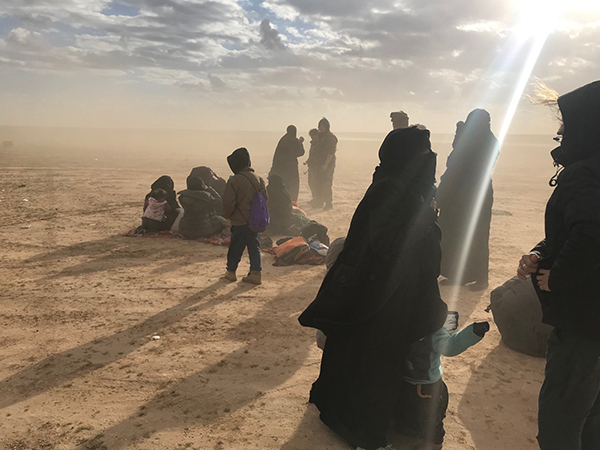 The families are met with dust and freezing wind as they flee ISIS and wait for transport. 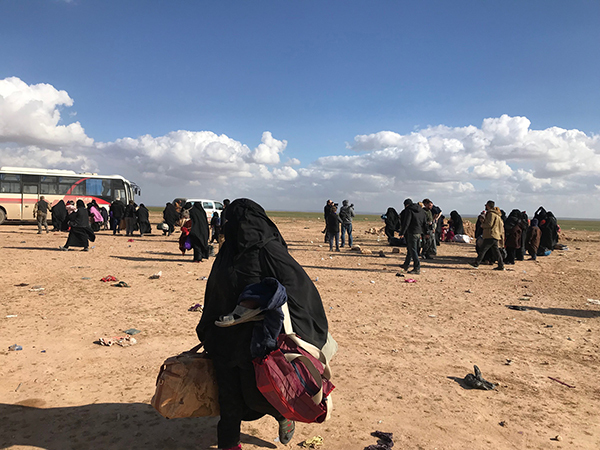 Starving, sick, and wounded families are fleeing the last stronghold of ISIS now. 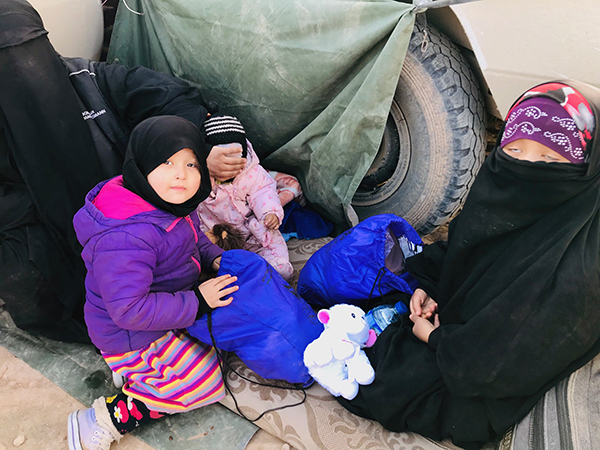 Women who can barely walk carry starving babies, badly wounded girls are carried in filthy blankets, children crying in fear – all of them dirty, freezing, terrified, and hopeless. 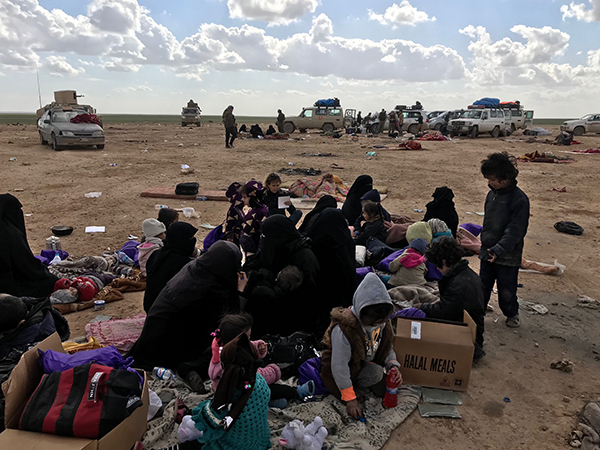 Please pray for them, for the remaining ISIS fighters, and their families still holding out. ISIS is down to a very small area in eastern Syria along the Euphrates River and the Iraqi border. There are those who want to give up, but there is also a core of mostly foreign fighters who are still lashing out with suicidal attacks and who swear to fight and kill to the end. Please pray for their hearts to change. Please also pray for the Syrian Democratic Forces (SDF) who have sacrificed so much and for the coalition forces who support them. Thank you for praying for our FBR team who are here now in Syria to give help, hope, and love. Today we gave medical care and clothes and toy lions and lambs from ATP Ministries to the people who fled. We prayed with and tried to comfort the people. 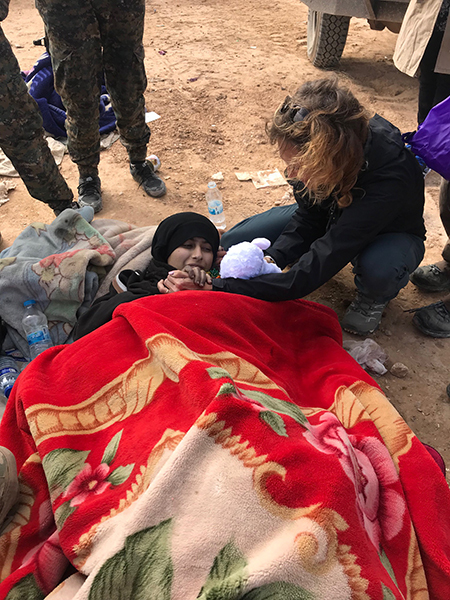 We are grateful to the leadership of the SDF who helped us get here as well as the Kurds of Kurdistan in northern Iraq who made this trip possible. We see the results of all this love in the face of evil and suffering. Karen prays with a badly wounded girl as she gives her a stuffed lamb. 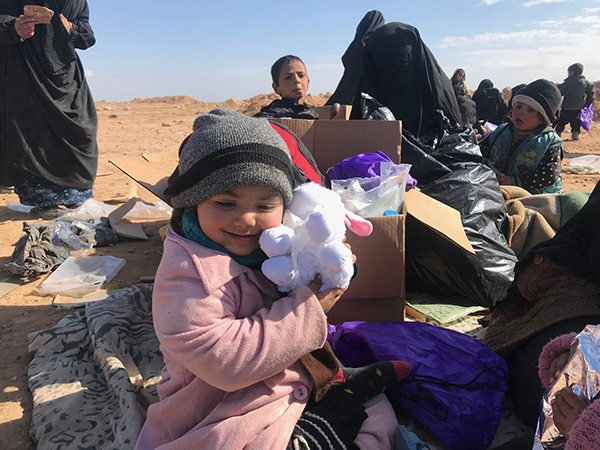 A child squeezes her new stuffed lamb from ATP Ministries. 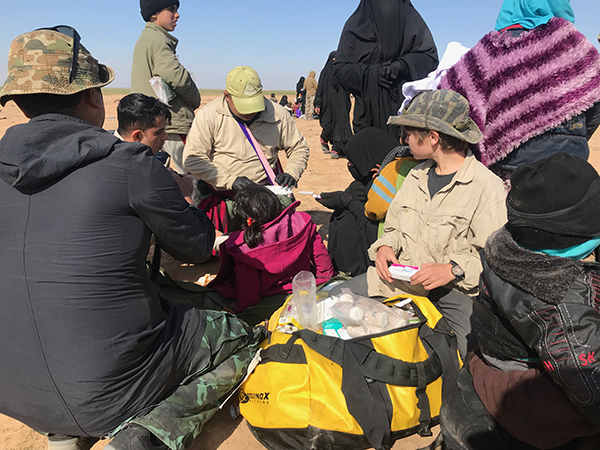 Eliya and Jason, two FBR medics, treat the sick and wounded. Providing medical treatment and care for the families as they wait. 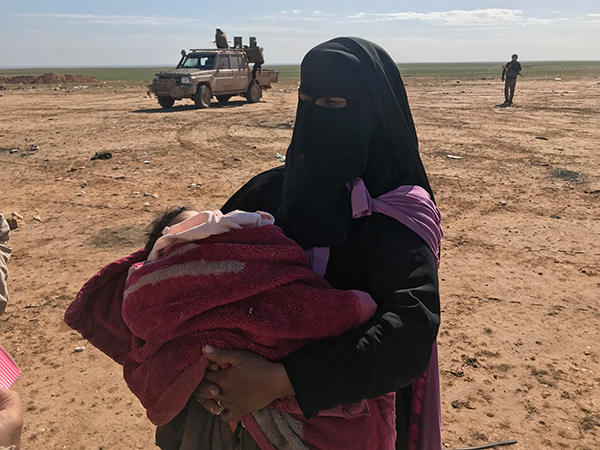 An ISIS mother escapes to SDF lines. 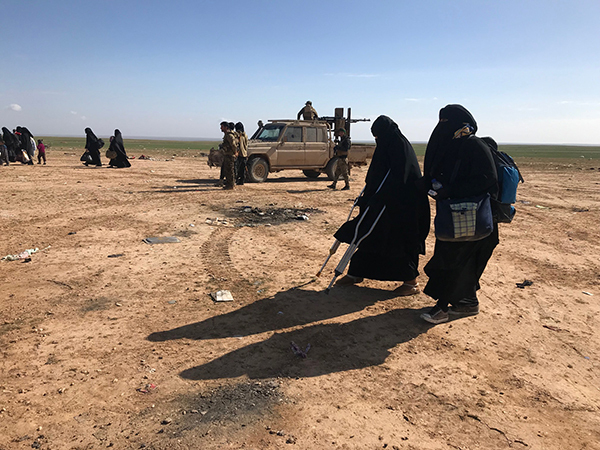 A wounded girl fleeing ISIS. Playing with the children as they wait for transport to the camps. 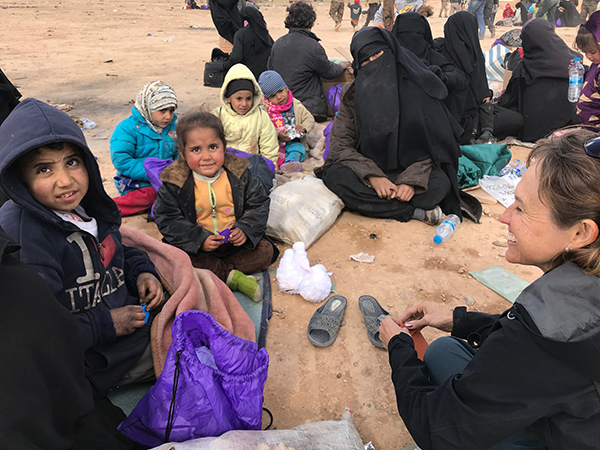 A former ISIS family finds shelter from the wind behind our trucks. Buses come to pick up the families and take them to camps.